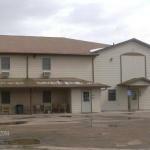 Offering an indoor pool and a hot tub this Platte South Dakota motel is 23 km from Gray State Public Shooting Area. Free Wi-Fi access is available. Cable TV is offered in every room at Kingâ? 's Inn of Platte along with a work desk. Featuring a bath or shower private bathrooms also come with free toiletries and towels. A continental breakfast is served at this property. A fitness centre and 24-hour front desk are offered at Platte Kingâ? 's Inn. Other facilities offered include meeting facilities a shared lounge and a vending machine. The property offers free parking. The Missouri River is 10 minutesâ?? drive away. Lake Andes is 48 km away.